I ought to get out and do something. I could go for a cycle ride. I could go for a coffeeneuring trip! I have things I need to buy. I don’t want to walk around shops in my “clip clop” cycling shoes. Pop to my closest small town on my shopper bike and in normal clothes so no problems with clip clop shoes, no worries about leaving my bike locked up on the high street (well, less than if I was leaving my Trek) and I even had a basket to put my shopping in! The plan worked well. I enjoyed my ride, even though my shopper bike (called my “Happy Shopper”) is very heavy and takes a lot of work to cycle up even the smallest of inclines. Never mind carbon fibre or steel, I swear this bike is made of lead. I did my shopping and pushed my bike up the pedestrianised High Street without clip-clopping and locked my bike up in front of some shops. I don’t like leaving my bike in this particular bike rack, because it’s right by where the ‘youf’ of Corsham tend to hang out, but it was in front of a barber shop so I hoped the two bored barbers would keep an eye on it for me. It seemed a fair swap after they’d got to laugh at me struggling to unwind my bike lock and have it “twang” out of my hands more times that I care to mention. “Grounded”* was a haven of peace. 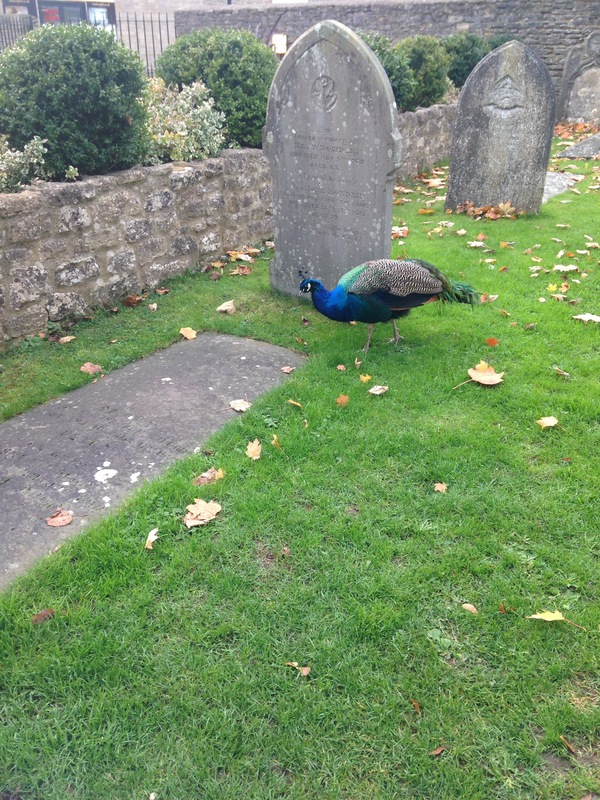 A converted chapel, you have to pass through the old graveyard to get to it The sight of a peacock poking around the grave stones makes for a bewildering experience if you don’t know Corsham. Its high ceiling makes an impressive setting for a cafe. I sat down, had my drink brought to me (which was delicious and VERY HOT! Excellent!) and relaxed. Ahhh! As I left, I told the waitress it had been the best part of my day – and I wasn’t lying. I stepped out into the gloom, feeling revived and content, only to find it had rained heavily whilst I had been inside and although my bike was still locked up safe and sound, I now had a very soggy saddle to sit on for the ride home. Humpf! Anyway 5.2 miles cycled, #coffeeneuring #4 done! 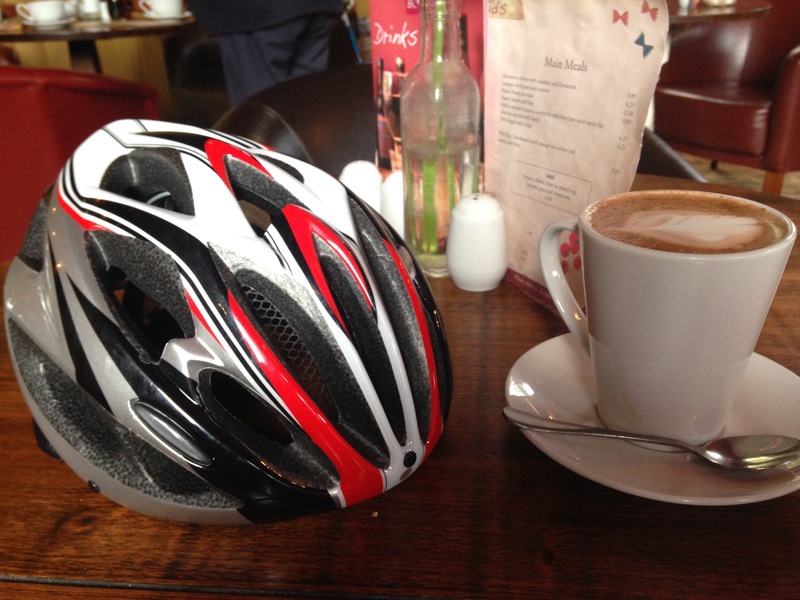 Posted on 13/11/2016 13/11/2016 Categories Coffeeneuring, CycleTags coffeeneuring 2016, Corsham, Grounded, mochaLeave a comment on Coffeeneuring #4. Grounded, Corsham.